Since I typically explore all things indie in this blog, I’ve decided to take a SLIGHT detour from makeup… into indie jewelry! Holidays are approaching, bla bla bla, REGARDLESS I may or may not have decided that I wanted to treat myself to something beautiful and rustic right now instead of waiting two months for the holidays. 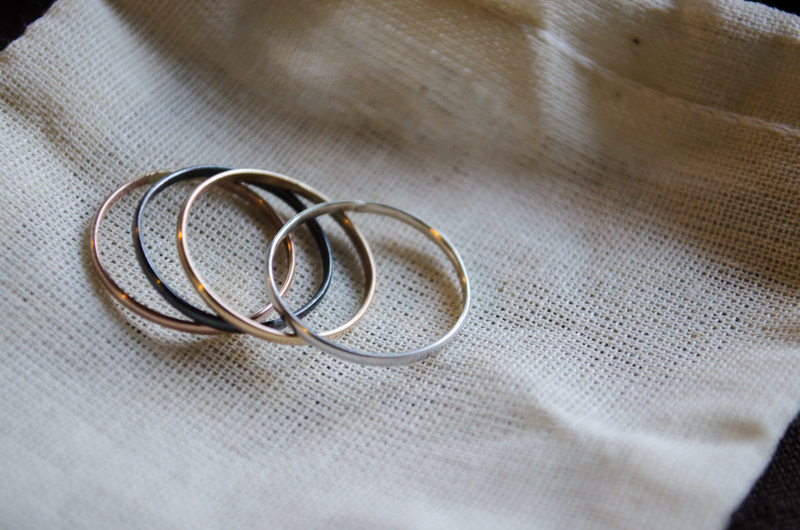 One of the absolute loveliest people that I know in the world, Kristine, runs WelltonWorks, a small hand-crafted jewelry business out of California that sells through Etsy, and her tri-colored stacking rings really caught my eye. Little did she know that I also wanted to do a little review of her work (MWAHAHA), so secretly, OH SO SECRETLY I placed an order!